Lisa & Amanda Continue Powering Out PRS! 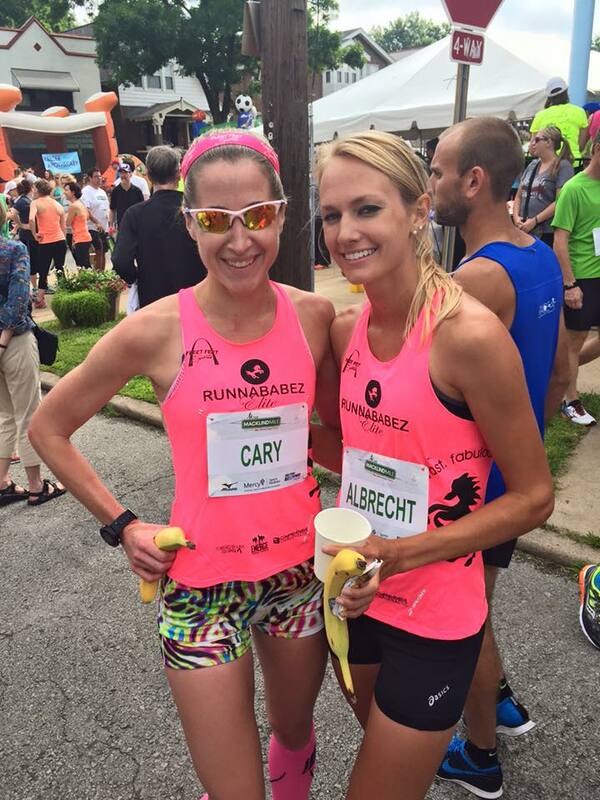 Runnbabez Lisa & Amanda continue on their PR streak today! Just last week both Runnababez PR’d in the GO! All American Road 5k. The race got underway today in ideal racing conditions at a sunny & 67 degree day! Much different than last week’s pouring rain and lightning! As the horn sounded the ladies were running lined straight across the street dead even going through 400 meters with everyone in a tight pack. Soon after 400 meters Hilary Orf took the lead, Lisa & Margo Richardson hung together elbow to elbow a few seconds back hitting the half way mark at 2:26-27. At halfway Margo made a move, and pushed up the pace a notch. Lisa hung within striking distance right behind, until right past quarter mile to go, then Lisa battled back big and rachetted the pace down another couple levels.. again. The race was on between Margo & Lisa, with 200 meters to go they were burning on all cylinders going at the finish in a dead sprint. The race was a huge negative split, with Lisa & Margo running around 2:14-16 for the last 800! This is what an exciting mile race should be like! And what a race it was! Holding on to a sprint into the line, Lisa ended up in 2nd place but with a BIG PR of 4:42.6, dropping 7 seconds off her previous best. Following suit, was Runnababe Amanda Albrecht who was racing head to head with competitors Crystal Harris & Erika Holroyd, until 400 meters to go when she made her big move, and blazed into a new massive mile PR of 5:00! Amanda knocked 20 seconds off her personal best! 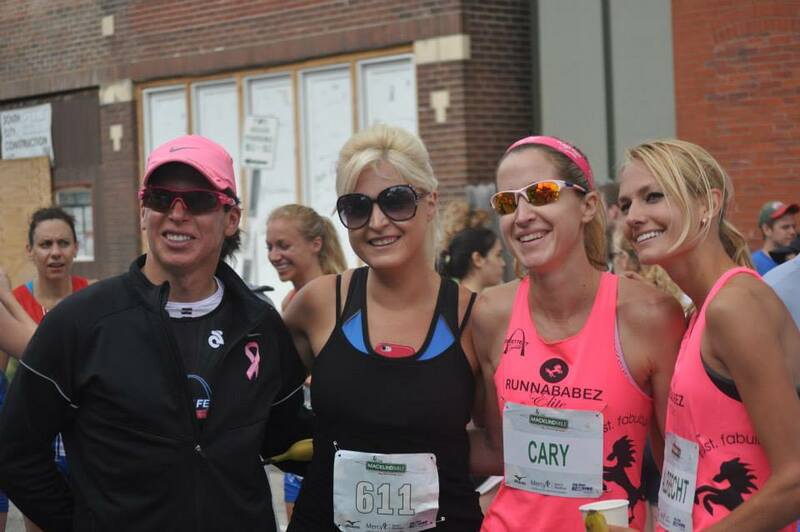 Lisa & Amanda went at this race with game faces & badgered hard! 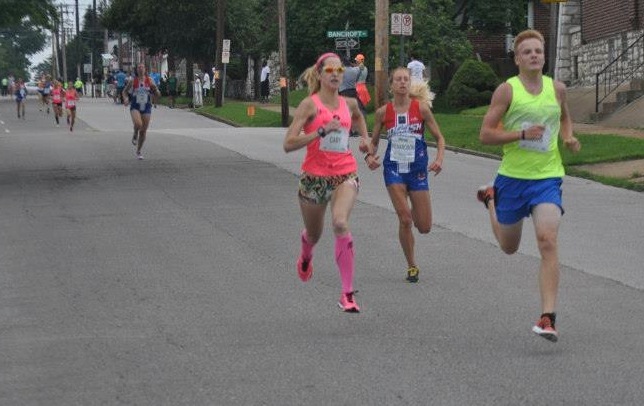 The women’s race run here in the streets of St. Louis, was once again highly competitive & producing national caliber level race results right here in town, with 6 women going 5:00 or faster! Congrats to fellow friends Shawn O’neal who PR’d today in the mile with 5:20! & Mikey Aitken ran in the Elite Men’s mile running a 4:18. Lisa’s sister, Monica Merkley is beginning to get some speed in her legs and beat her goal of going sub 7 minutes, by running a 6:52 mile! Great times out there today! Lisa & Amanda PR at Macklind Mile! 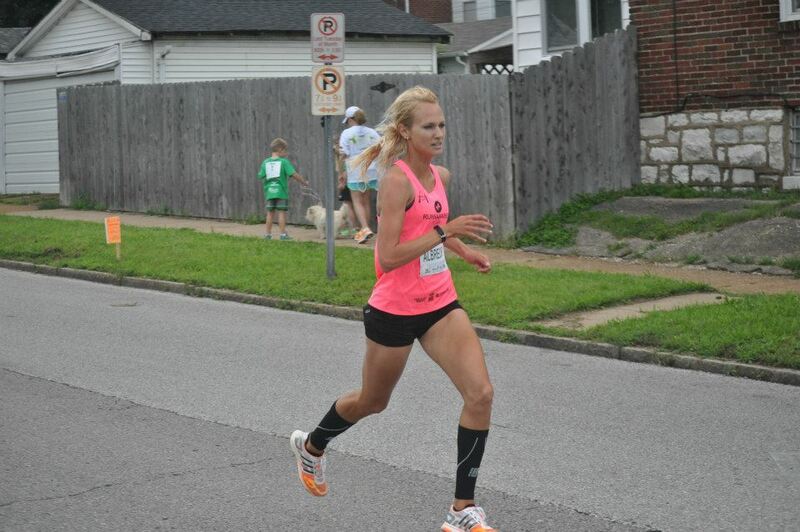 ← Lisa & Amanda Set Road 5k PRS @ GO! ALL AMERICAN !